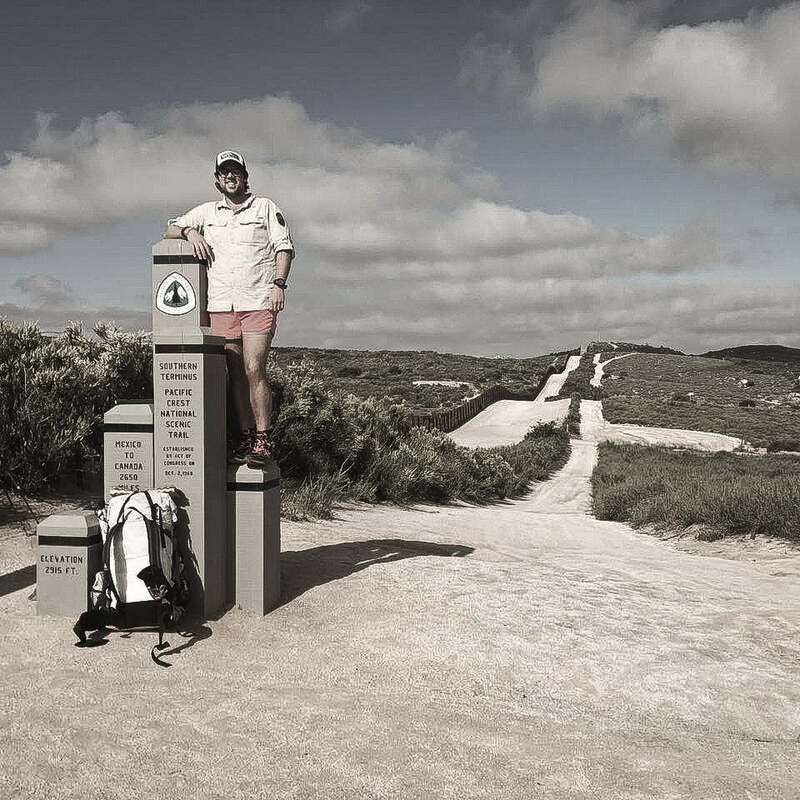 The Appalachian Trail under his belt, Nicholas Reichard is onto his next thru hiking and photography mission: The Pacific Crest Trail. Nicholas “Click” Reichard didn’t grow up hiking or exploring in the woods. He had a passion filmmaking, and wanted to be one of the best. So he attended the Savannah College of Art and Design where he obtained a BFA in filmmaking. But despite his skill and talent, he found his options limited. So he sought a change–a new perspective on life. And what better way to do it than hike the “big three” long-distance trails in the United States. 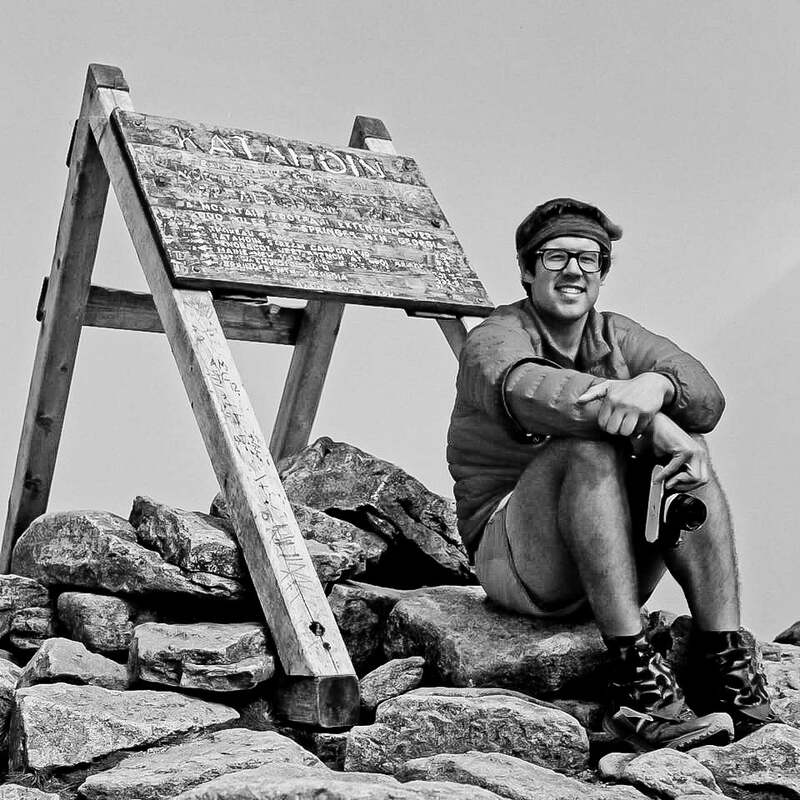 He planned to become a Triple Crowner, hiking the Appalachian Trail, Pacific Crest Trail and Continental Divide Trail. 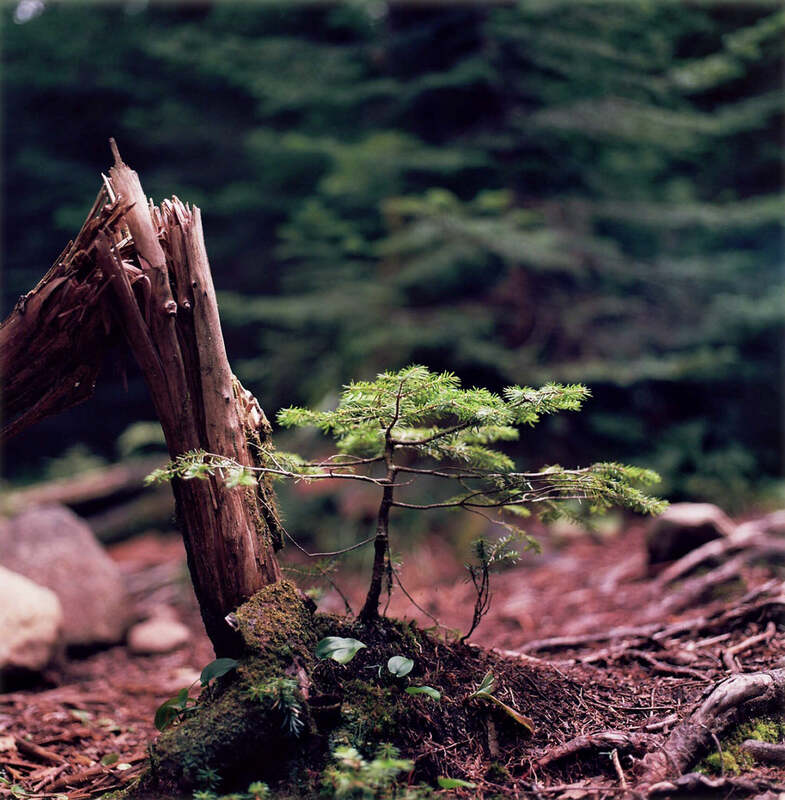 It didn’t matter that he had little backpacking experience, he would photograph his adventure with a film camera. So in 2015 he got some gear together and began thru hiking the AT. Six months and 150 rolls of film later he completed the first leg of his journey, and he was hungry for more. Currently Click is partway through the PCT. We caught up with him on a day he had phone reception and asked him a few questions about how he balances ultralight with photography. 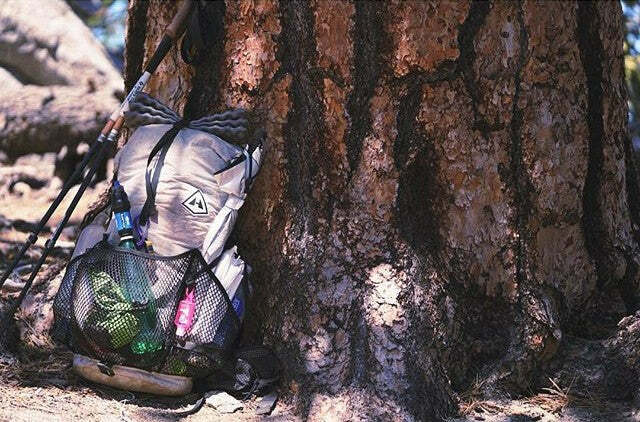 How did you discover thru hiking? So the funny thing is I never wanted to hike the AT, or even enjoyed going on day hikes. But I knew undertaking such an epic adventure would change who I am as a person and as an artist. Boy was I right. Now I sleep better outside than I do at home. I think the challenge of covering so much ground over the span of a few months is also really appealing to me. How do you plan for a trip like the Pacific Crest Trail? I’m not sure there is a right answer for this. I’d say it’s fun to plan the trip but I’m more of a figure it out as I go which seems to make things happen more naturally. What is driving you to complete the Triple Crown? 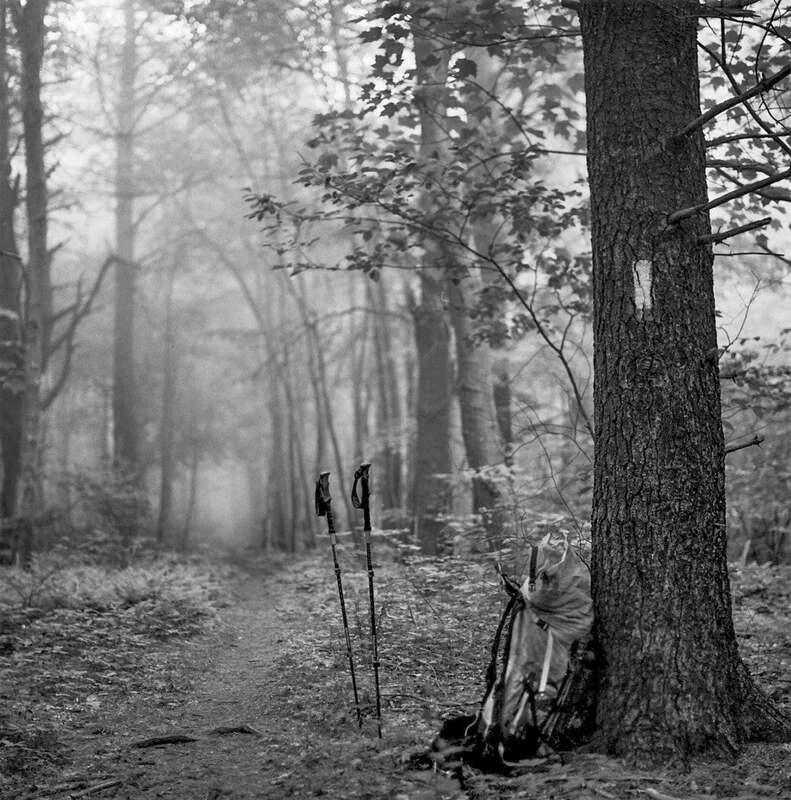 When I was home developing all of the film from my first thru hike of the Appalachian Trail, I realized the trail is where I belong. At this point in my life I want to surround myself with my work on a daily basis and what better way to do that than keep hiking. It’s easy though to dream of a Triple Crown, but another thing to actually do it. So for now I’ll stick with finishing the Pacific Crest Trail and see what happens next year! Why do you thru hike? I view thru hiking as living life at 3 mph. As a photographer I’m motivated by my surroundings and I love the fact that when I’m on the trail I’m setting myself up to get the shot of my dreams. Do you believe in the ultralight philosophy? If so how has it affected your life outside the wilderness? I used to look at ultralight hikers as Navy SEALs, thinking, “oh man they are so badass for carrying next to nothing and everything is so light.” Then I realized the importance of keeping your pack weight down, even for the simple reason of saving your knees and back. To me thru hiking is about learning what you can live without, and ultralight hiking is the first step to take in that direction. How does photography affect how you hike? I tend to hike a little faster than most people but take a lot more breaks for the purpose of taking pictures. My favorite camera I would have to say is my iPhone so I can shoot on the go. I only use my main camera a few times a day because film isn’t cheap and memory cards fill up fast! To take the best picture I can, I try to think of how I’m feeling that day and let my emotions effect the way I take pictures, I think the photos come out way more organic and seem less staged. Bringing a lot of photo gear adds a lot of weight to your pack, how do you balance this trade off? I’ve come to terms that my pack weight is heavier than most and I won’t be a true UL hiker. But shooting photography is the reason I’m out here and it’s totally worth the weight, which is why I try to save weight in every place possible. Ounces really do add up! Why did you make the change from DSLR to film? I always say my camera is my paintbrush and with certain projects painters need to switch brushes, same goes for photography. When I decided to hike the Appalachian Trail I knew it was going to be tough, and I wanted to show the gritty side of a thru hike. Choosing to shoot on film wasn’t easy at all and not something I’d recommend to other hikers, but I am so happy I did. What do you want to accomplish with your photos? This is a complicated question as I’m not much of a morning person but when I’m out in the wilderness and on Pacific Crest Trail I love waking up early to catch the sunrise. Everything just seems so peaceful, what’s not to like? Can you describe an experience where you reached a “Zen” moment on the trail? I remember last year on the Appalachian Trail when we reached the White Mountains and decided to night hike Franconia Ridge. With the help of a little wine on hand, it was one of the best parts of the whole trip. The zen moment was when we reached the top and were surrounded by 360 degrees of breathtaking views. It was kind of mind blowing we had just walked 1800 miles to get to that point, I’m not going to lie but I had tears in my eyes during that stretch. What made you make the change from filmmaker to photographer? Filmmaking will always be my favorite visual medium, but right now I’m really enjoying photography and pushing myself with the limitation of telling a story through still images. So as I’m writing this I asked my buddy Cheesebeard who I’m currently thru hiking the Pacific Crest Trail with, and his reply was, “Dude, your favorite piece of gear changes everyday.” I’d have to agree with him on that one. Yesterday was probably my sleeping pad (neo air Xlite) or pillow. Is there anything we’re not asking that you’d like to share with us? I really enjoy talking to fellow hikers about camera gear especially if they shoot film. Capturing your thru hike is special and doesn’t need to be with big bulky cameras. If you enjoy this article, stay tuned as Reichard will periodically be posting on the Hyperlite Mountain Gear blog about his Pacific Crest Trail adventures. Check out his Instagram page: @nicholasreichard. The post Thru Hiking and Photography: Passions Collide on the Trail For Nick “Click” Reichard appeared first on Hyperlite Mountain Gear Blog.